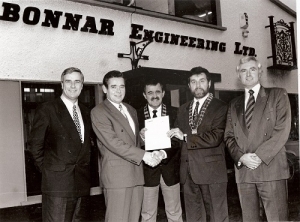 Bonnar Engineering Ltd was established in 1974 and the initial focus was on the manufacture of gates and railings, electric welding and general repairs. Subsequent to this, the fabrication and erection of structural steelwork, incorporating portal frames, steel trusses, purlins, sheeting, cladding, gutters and insulation quickly became the main thrust of the business. The Company became renowned for its capability in structural steelwork and rapidly built up an excellent reputation in this field. 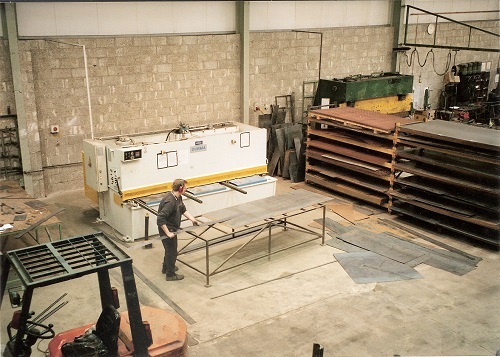 Further expansion became necessary in 1982, and in 1998, as a result of ongoing progress and continuing improvement, a new 30,000ft2 premises was constructed at our current location. Our investment in quality sets us above our competition and our implementation of technology allows us to track each piece of steel from drawing to installation. The combination of these elements enables us to deliver projects of the highest quality on time and cost efficiently. The Company has held the ISO 9001 accreditation since 1995 and in 2014 it achieved CE approval on all of its structural steelwork products. 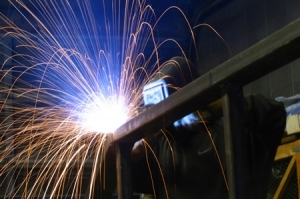 Our commitment to health and safety is evident in our workshop and on all our construction sites. We have been awarded the Aviva Safety Standard Award and all our employees hold the required Health and Safety CSCS/Safepass cards which are now mandatory to enable them to work and operate plant on site. All employees are issued with Personal Protective Equipment and undergo extensive in-house and external training. Training logs are constantly updated to ensure all employees are fully up to date with all training requirements. As part of the ISO Quality Assurance system many different audits are carried out on a regular basis to identify risks and as a result our safety documents are constantly being reviewed and updated to ensure continuous improvement in our management of Health and Safety. All lifting equipment is tested by outside bodies to ensure the safety of all lifting equipment. Before commencing work on a project Site Safety Profiles are issued for each individual location. Included in the safety pack are Site Specific Method Statements giving a detailed description of the work to be carried out by ourselves and in the manner which it will be carried out, Risk Assessments, Emergency Plans, Safety Statement, Insurances, copies of all training cards held by every employee that will be on site and copies of Plant Inspection Reports for lifting equipment to be used on site.